Your gift today will help save children from hunger. Photo: Deng and his grandmother head towards a distribution centre in South Sudan. There they are given a month’s supply of food. 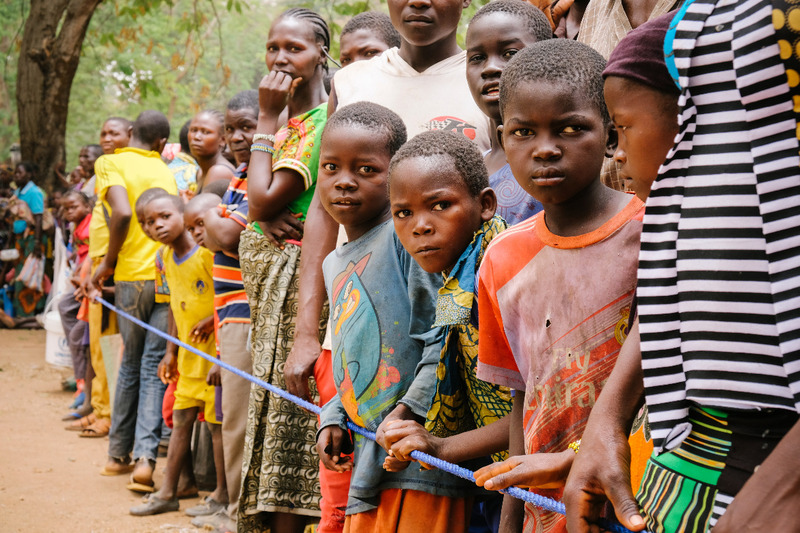 Today thousands of children and their families, just like Deng and his grandmother (above), line up at one of our food distribution centres waiting to receive life-saving food. With your help we can make sure everyone gets a month’s supply of food. We’re the World Food Programme’s biggest partner, working together for over 20 years distributing food in times of crisis. We set up distribution centres wherever the need is. We prioritise those who are the most vulnerable; those who’ve walked the furthest, malnourished children and pregnant women. This year we’re distributing food in 10 countries including, South Sudan, Democratic Republic of Congo and Bangladesh. Areas where natural disasters such as flooding and drought have ruined harvests, or where conflict and violence has driven families from their homes, often leaving on foot with nothing but the clothes on their backs. Will you partner with us to ensure 221,707 people, including 117,851 children receive urgent food assistance?